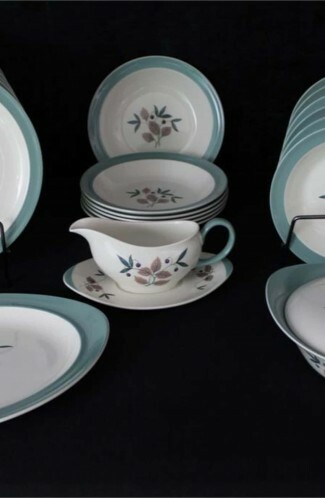 Vintage - Royal Albert "Sorrento" Pattern. 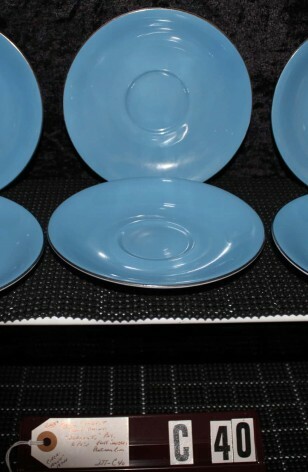 Produced in the 1950's, Being sold as one Item that includes (6) Blue Saucers. 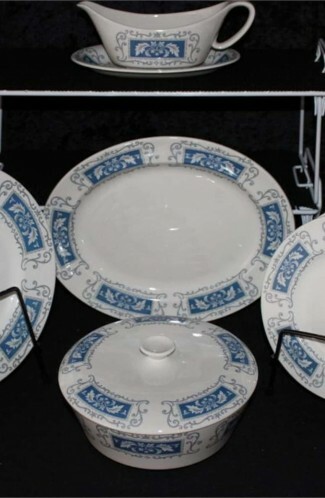 Blue Saucers trimmed on Rim with exquisite Platinum. 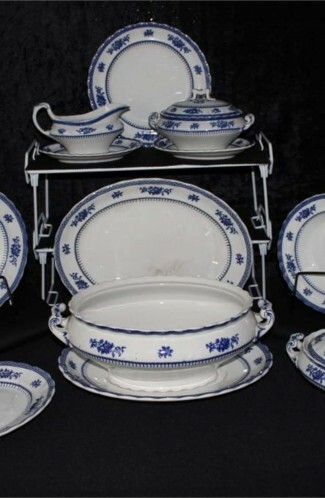 These Saucers are Solid Blue, however, they belong to a China Set that has a Floral Pattern consisting of a Pink Rose and Bud, with Blue and Gray Leaves. 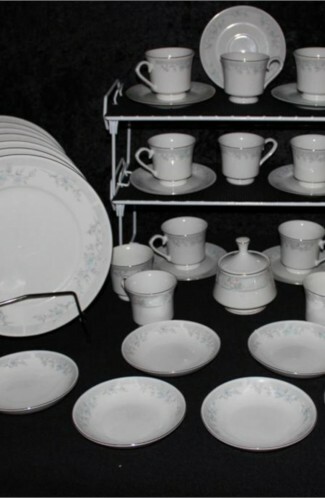 Great Accent Pieces for Plain or Floral as extra dramatic color.. or as fill in for those needed pieces in your personal set.